IBM’s Watson is synonymous with AI. Perhaps IBM should have named it Sherlock. Anyone familiar with the Sherlock Holmes stories knows that Watson wasn’t very bright. But he did have his uses. He was good at collecting and summarizing information, and with a lot of guidance he managed to make some sense of it. So maybe IBM knew what it created, since that about sums up what products claiming to use AI are capable of doing today. AI, or more appropriately machine learning, software can process vast amounts of data, and with the right algorithms can produce results better than a human. Continued access to data allows AI software to keep improving at what it does. Deep learning systems that use neural networks can mimic a human brain. But all AI systems today can only perform a narrow set of tasks such as recognizing faces or playing Go. For recruiting, products like MyAlly can schedule interviews while giving candidates the impression they are interacting with a real person. What these tasks have some things in common is that the goal is clearly defined, and most or all of the information needed to make decisions can be evaluated by the system. But AI, as it exists today, doesn’t work well for situations where the goals are not well defined and the inputs can be variable. Take driverless cars as an example. Much of the technology needed for a car to get a passenger from one point to another has been developed. But what should the vehicle do when some suddenly steps in front of it … hit the pedestrian or veer off to one side and possibly hurt or kill the passengers? Is there any amount of data that would allow for a “right answer” to be reached? That’s a moral dilemma with no easy answers, so let’s look at one that recruiters are more familiar with. There are two candidates for a job, one of whom is clearly more qualified than the other. But the hiring manager may like the other one better because they graduated from the same school and have worked for the same employer. A recruiter may know these facts and choose to present the second candidate because the job needs to be filled quickly. But an AI system may be incapable of reaching the same decision because it doesn’t have enough insights into the hiring manager’s background and understand the need to act quickly. AI systems can already source candidates, conduct assessments, schedule interviews, and predict the likelihood of someone accepting an offer, but no AI product is going to solve this problem as well as a recruiter. Or, take a more common situation: offer negotiation. Most recruiters know that the process can get emotional for the candidate. Getting candidates to accept an offer can require understanding their motivations and drivers. That is much too subtle for any AI-based system to handle. Much of the hype around AI is about systems replacing humans and is based on the assumption that AI products will do all the work. That will be true in some cases, depending on how precisely the tasks associated with the job can be defined. For other types of jobs it’s much more likely that AI will help in evaluating what actions to take than take over the job completely. IA (intelligence augmentation) is what will work for recruiting. Recruiters typically use a wide-range of tools for sourcing, screening, and selection. Just consider how many sourcing products exist, often providing overlapping inputs in different formats and in some cases augmented with additional data. It’s easy to get inundated with data, so we use other products to manage the inputs, from ranking them, storing them in CRMs, and communicating with candidates. Trying to stay on top of all these can be overwhelming, causing opportunities to be missed because the signal-to-noise ratio is too high. This is where IA becomes relevant. Expecting an AI-based system to solve these problems is unrealistic, but products that help separate the signal from the noise, summarize information, and help a recruiter filter through it can be of immense value. An intelligent data visualization tool or dashboard that allows a user to focus on the most relevant pieces of information and see trends can greatly improve productivity and the odds of success. Products like Microsoft’s Power BI, using data from machine learning models built in platforms like Azure or Amazon Machine Learning can do exactly that. Such systems make it easy for a user to decide what to do in a given situation where predicting the right answer is not possible. 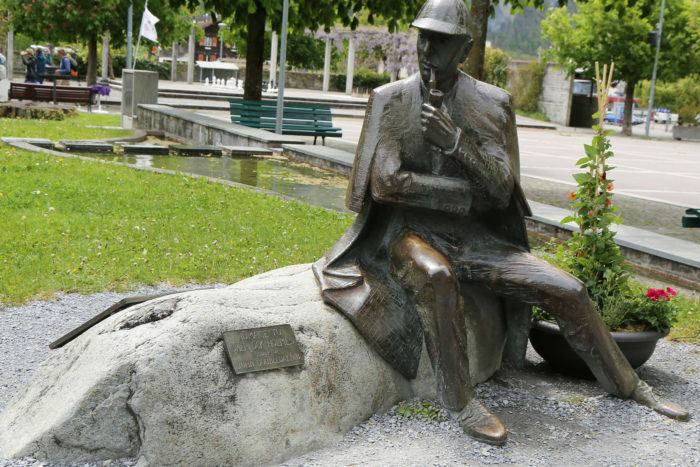 In the Sherlock Holmes stories, Watson is not a stupid man, but he lacks Holmes’ insights. His success in solving crimes is limited because he doesn’t have Holmes ability to focus on the essential details of the case. His abilities are best described by Holmes remark “You see, but you do not observe.” But despite his shortcomings the two are a very successful combination. That is what a recruiter should expect from AI tools: help in completing tasks that are tedious and capable of becoming overwhelming, but still necessary for success. Let them do the heavy lifting but use your own insights and decision making to get results.